A month or so back, I went to my favorite thrift store. 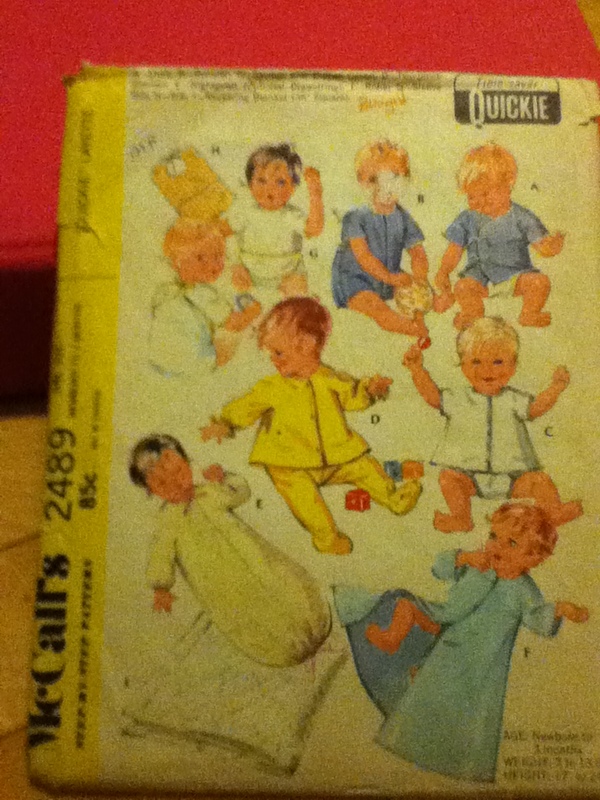 The one where I have been so lucky to find all the vintage patterns. There I saw more vintage patterns and lo and behold, an old machine. I remembered another old machine I had seen there that I had had to pass up, an old Singer. I had just bought my Emerald 118 a week before AND my parents were with me. It was such a deal, but only I knew that. Well, this machine I saw a month or so ago, was an odd one and $30. I saw it, my eyes lit up and and I placed in my cart. It had many feet, the manual, bobbins and everything was so carefully put together. This machine I had just seen in a Twitter post from someone I follow, but I could not find who. I cannot find much info on it. Some information makes it seem like this was a kind of scam, but other people online vouch for it lasting for years and years. I am still learning the machine. I do not like to review a machine til I have worked on it about a year, but from what I can tell, it is a nice one. I really like the stitch quality, the backstitch quality, and it runs really smooth. It is called a Tailor Professional 834 and I think these were sold in hotels around the East Coast. I have seen them on ebay. It seems to be a sister of the Singer Stylist 834. They were both made in Poland, I believe in the 70s so it is not the all metal mega machine, but it is still good…I think. 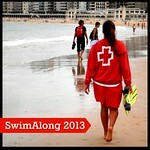 I will tell you in a year! What it has shown me was this: Never pass up an old Singer ever again! I had not thought about that old Singer from a year ago until I got this and now I am like, Darn it!!! However, I always had a feeling I would happen along an old machine and so I did. I just realize that vintage is the way to go for me it seems. It just reminds me of my mom so much. I will happen along an old Singer again one day, I am sure. Although my schedule in the summer makes it super difficult for me to go thrifting, especially at my favorite thrift store, at least it is something to look forward to. It is when you are not looking that things are found! I have always been intrigued with vintage items. I just love to look at the details of the old fisher price toys. My mother’s old Better Homes and Gardens’ Cookbook has some delightful pictures of dinner placements! There is something so interesting in the way things are presented from the past. 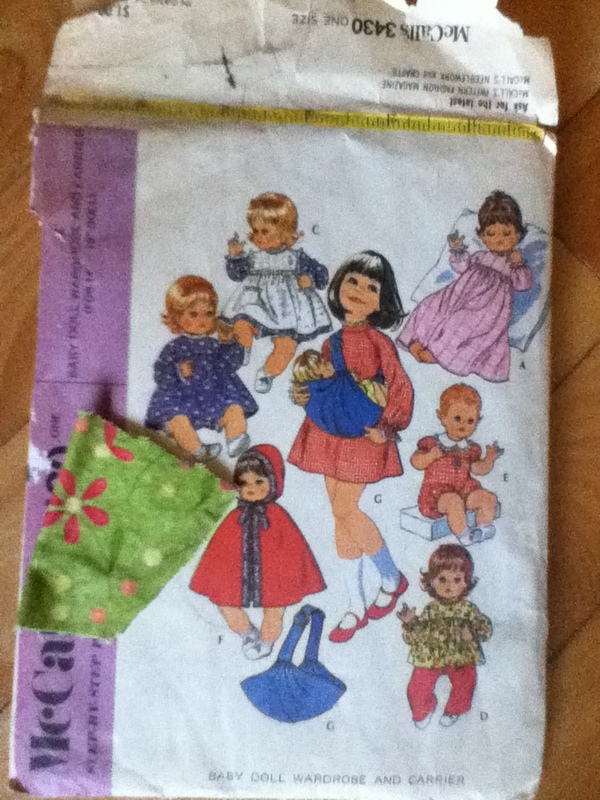 I have heard how hard it is to sew with vintage patterns and how you should get modern vintage-like patterns instead. The problem is is that I have quite a few vintage patterns from my mom and I keep buying them up at a thrift store that sells them for 10 cents! I cannot resist and especially at that price! Part of my vintage haul from a local thrift store. I have, however, started off small in sewing vintage. I started with a pattern that I had from my mother. She had used it to make my sister and I clothes. 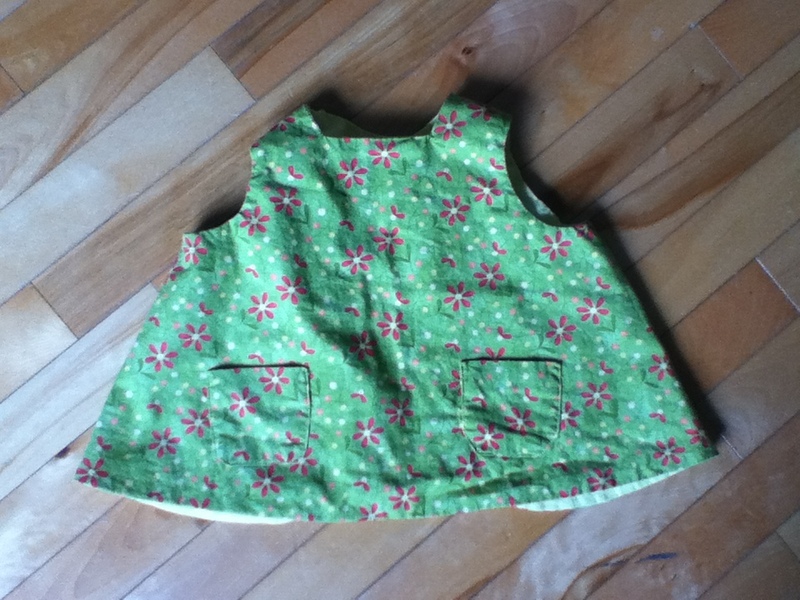 I made a pinafore and a little tie shirt for a relative’s children and found a cute and free diaper pattern and tutorial from madebydana to go with the pinafore. I made the little tie-in-front shirt too. I had quite a time with the bias tape and my sewing machine. Grrrrrr. I made the blue tie-in-front shirt, top left corner. Next time I will use extra wide double fold bias tape! From McCalls 2489. This was a 10 cent thrift store find. 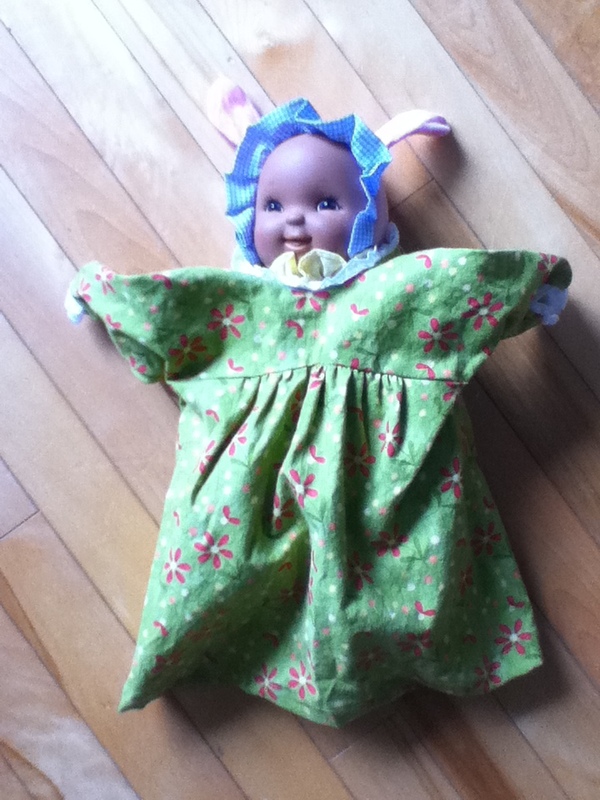 I also, at the same time, made a doll baby night dress out of the same fabric. 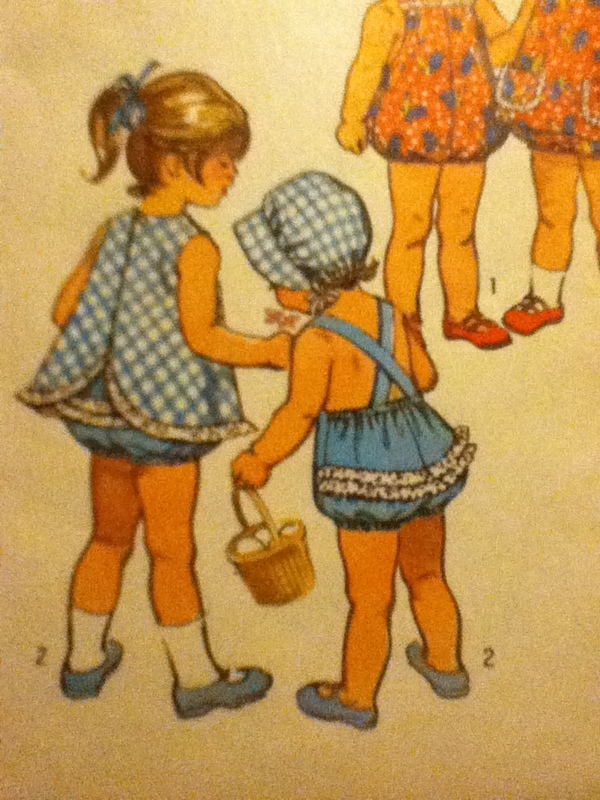 This pattern was also from my mother and she made us doll clothes from it. It is so neat to take out these patterns and think when the last time she touched them was. How old was I? Did she do it wistfully, thinking, “Aw, my littlest girl is growing up too fast?” or was she in a hurry, needing to get super on the table. Dress was made for a larger doll, but you get the idea, I am sure! Now, I did ok with these patterns. I did make plenty of mistakes, but these items are still wearable, playable, and adorable! 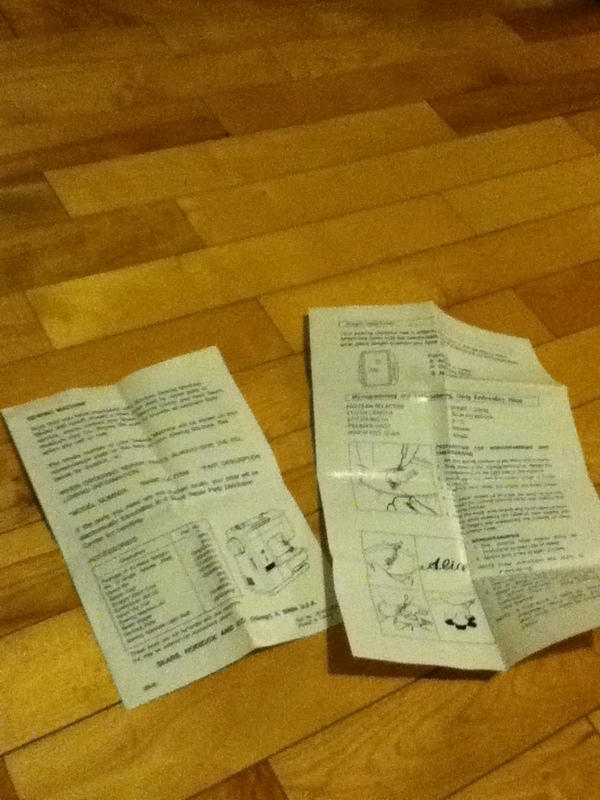 I see now, that for me, I need to read the directions many times and maybe I need to write down a list of the steps. The directions seem to jump around a bit since they piggyback off of others. There was also some directions that I just simply did not get. And as usual, I just forged ahead. Sometimes I just have to learn by making mistakes. 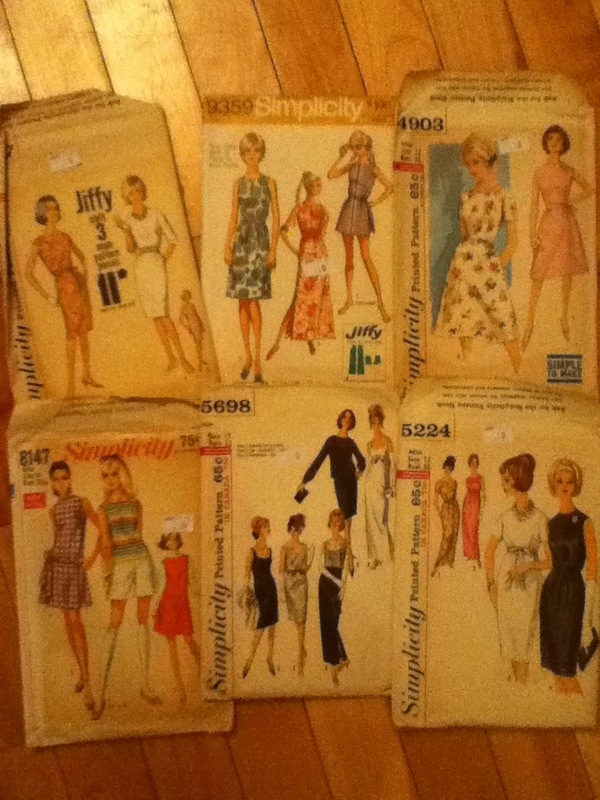 It was a positive enough experience however, that it got me to spend some money on ebay on vintage patterns and I did fork over $2.00 for many more patterns that I found thrifting! I hope I learn a lot from these! One thing they have piqued my interest in is tailor tacks. I am going to try to use them on my next project. It seems I have a hard time with pens and chalk. They never line up! I came across something quite by accident last night and seemed to go along with the first post on this blog. Out of my very disorganized sewing toolbox, fell a little cross stitch of a mouse that I had saved since high school. It had been placed in a zip lock bag for safe keeping, but I noticed something the minute it fell out onto the floor: the word Brother. My first machine was a Brother. I have been trying to find out what kind it was ever since my sister gave it away, with my permission of course! This machine was red and ivory colored and according to the paper I found, it was a Brother 268.10442. I sewed my second ever garment on that machine-on a cardboard table in the living room (the elastic waist skirt). So needless to say, I was thrilled to have found that paper. Especially since I have just been going down my sewing memory lane. Fast forward a million years and I am ordering a Singer 1507 out of a toy catalogue with my mother. 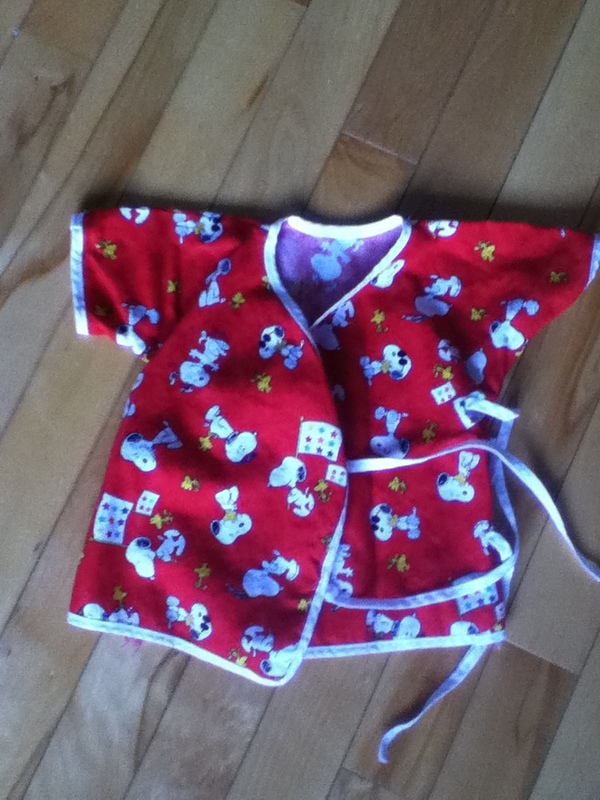 It was touted as a beginner’s sewing machine (easy enough for a kid to use) so we thought that would be good. When I started using it more and more though, it seemed I needed something more. This time I would do my homework! I read reviews on sewing.patternreview.com. I searched sewing blogs, I Googled, and Googled and Googled so more. I then tried 3 different machines. Even with all my research, I feel like I could have shopped wiser. Hindsight is always 50/50 though! I ended up with a Husqvarna Viking Emerald 118. Of all the 3 I tried, I liked how that one felt when I sewed on it. It was just so smooth and quiet. The knobs turned well. I think mentally, I was not ready for a computerized machine. I know I could have gotten a lot more stitches on one, but it seemed that the buttons would break down so easily and after trying 2 electrics, a manual would not due. It just was not as smooth. Now my Emerald is not a perfect machine, but I take comfort in knowing the oddities and the solutions to those oddities. I have almost had it for a year and I feel I still have to get to know it some more. 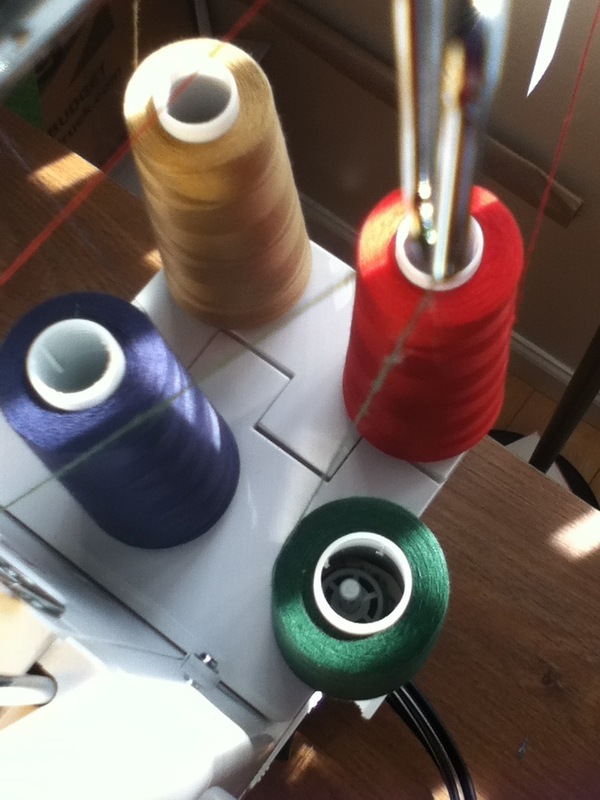 Last week, I got a serger. 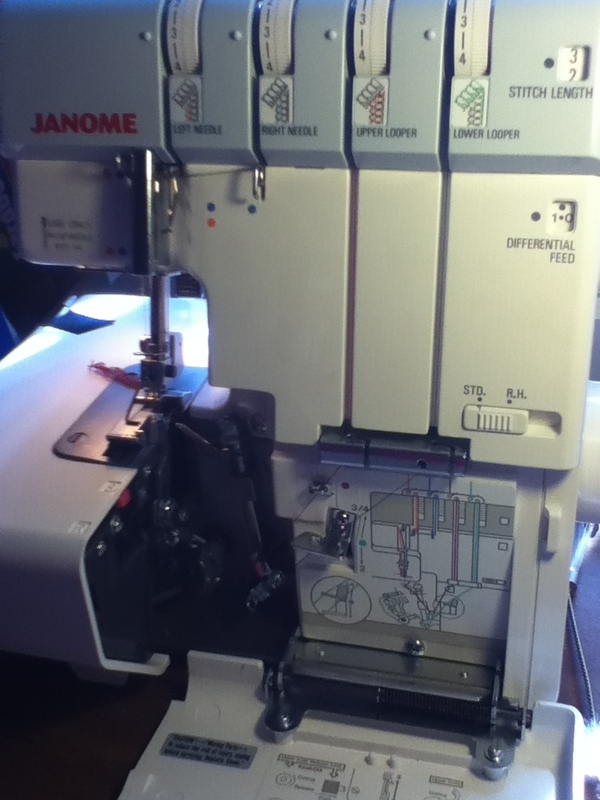 I got a Janome 1110DX. Now, I researched these a bit, but it was pretty apparent I was not in the running for the air jet threading kind, etc. I was gonna have to thread that thing myself. Really, the only hard one is the lower looper so it is all good. I was so proud of myself for threading it with the colors that correspond to the diagram all by myself yesterday. With the serger, we had the money and I kind of just dove in. 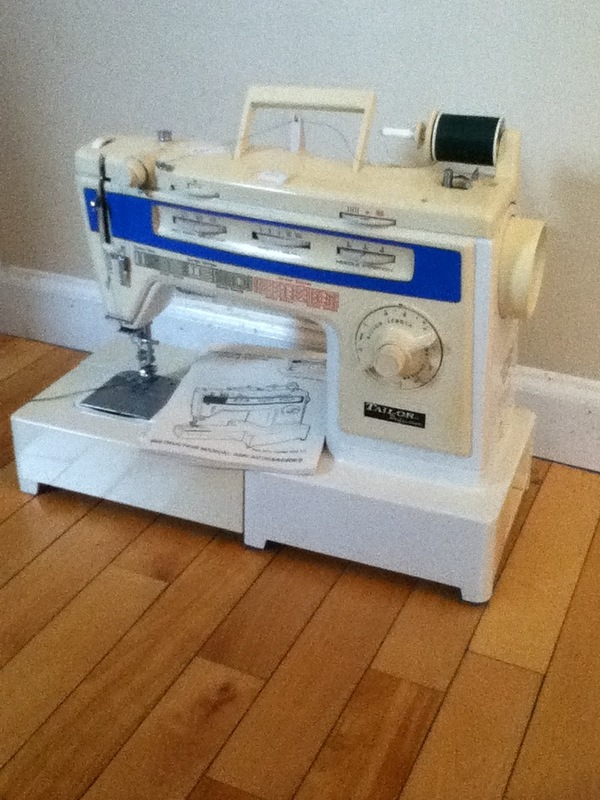 Now this machine has some stellar reviews out there-at sewing.patternreview.com and Sewing Insight. I am really excited to realize all the possibilities that this serger has! So my next 2 sewing projects are ones that make use of my serger. I am making a New Look Workroom from Project Runway tunic (New Look 6051) and then Meg McElwee’s Jersey Garden Skirt! So much sewing to do and so little time. “Why take time away from sewing to blog about sewing?” I ask myself, but then I see everyone has a blog! I should try it out! Although I watched my mom sew throughout my childhood, I did not sew anything myself until that Home Economics course in junior high school. I sewed a burgundy sweatshirt. Most everyone chose all manner of tacky add-ons for theirs, but I chose plain and I could tell the teacher approved. I think I still have that sweatshirt somewhere! My thoughtful and caring mother saved this pattern for me. She must have known I was not done with sewing yet! Next up was an elastic waist skirt and then… I was done. I think something occurred that frustrated me to no end on that skirt. 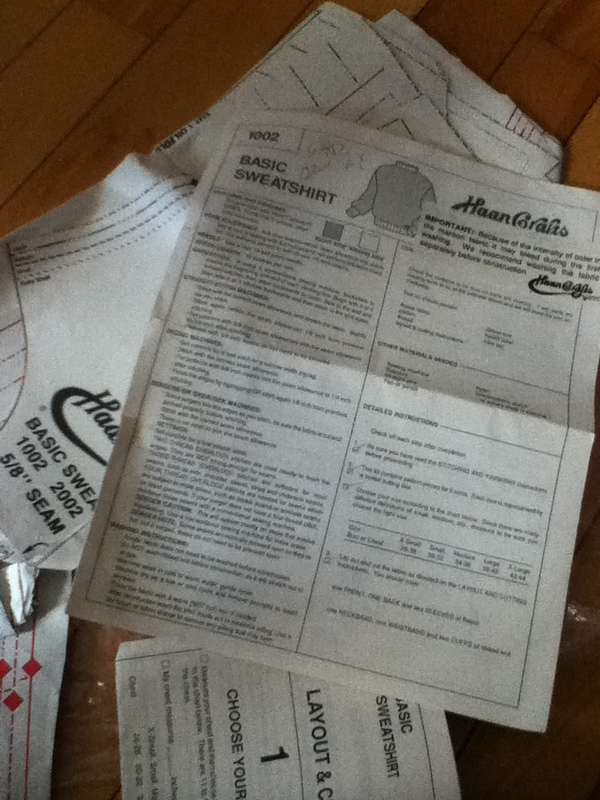 My mom had bought me my own sewing machine and everything. But we kept that sewing machine and years later my sister took it over and that got me thinking, but just thinking. The mood struck me again, decades later and mom got me yet another sewing machine for mending. It was a bust but it was apparent that this mood was not going away any time soon so 4 years later I got a decent machine and I sew almost every day. Sure I have dreams of some day making some money off it, but truthfully, I don’t know much about sewing so we will see. It sometimes seems there is so much out there to learn. But I try to take what classes I can (usually online) and I try to sew new and challenging things. I try not to get too frustrated although I did throw a shirt in the trash, only to retrieve it once I got over the fact that, once again, I had botched it. Something can always be fixed…or at the very least, made into a pillow! 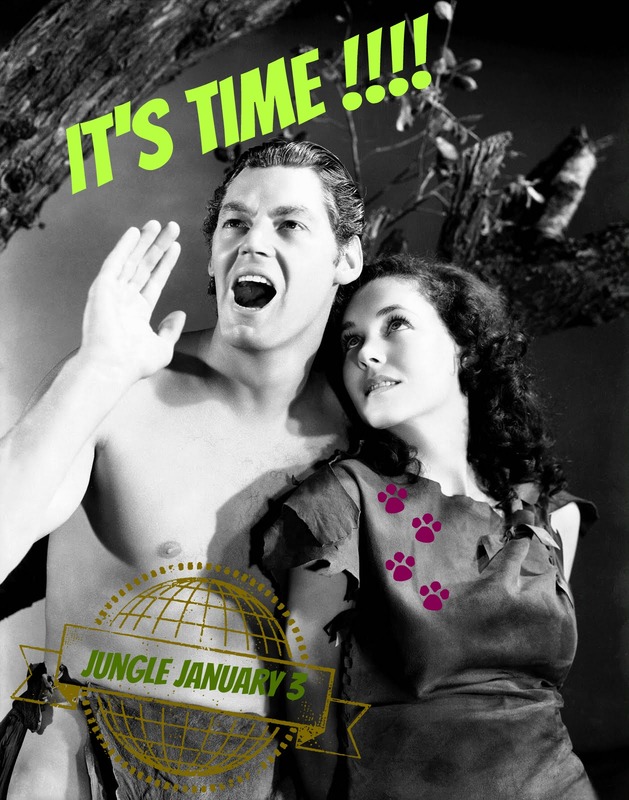 So here goes! Hopefully this will be an interesting little speck on the internet for, at the very least, me!